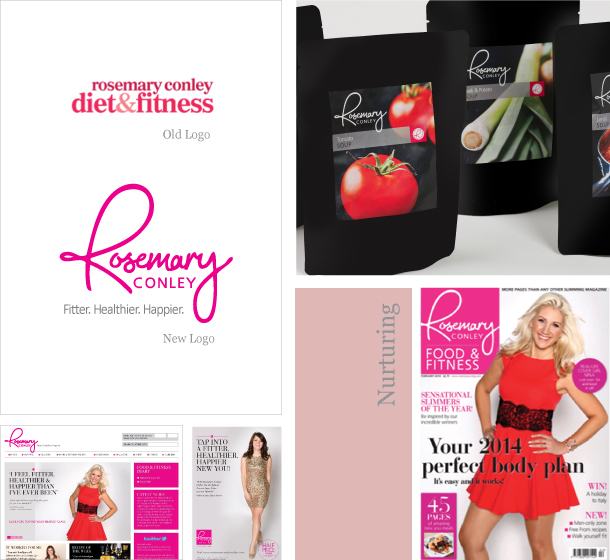 Rosemary Conley is an established brand facing a growing tide of cynicism towards dieting. Rosemary is viewed fondly, but the brand was beginning to look tired. We needed to address what was a big change in culture and find a way to connect with a new generation of consumers. We helped do this with an approach based on 3-dimensional health, rather than 1-dimensional dieting. We knew that people and relationships were what mattered most, and so developed a much warmer, more personal positioning and identity that started a whole new conversation with consumers.